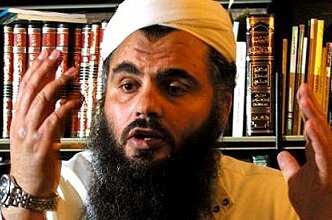 “The Home Secretary, Theresa May, and her illiberal right-wing supporters in this House, should be ashamed of themselves for their reckless and populist attacks, not only on the European Court of Human Rights for preventing the government from deporting Abu Qatada to be tried in Jordan and probably convicted there on evidence likely to be tainted by torture, but also for attacking our own judge, the chairman of the Special Immigration Appeals Commission (SIAC), who has rightly ordered that Abu Qatada should be released on bail, subject to extremely stringent conditions, since he clearly cannot and should not be kept indefinitely behind bars any longer when apparently — and inexplicably — our police and prosecuting authorities can’t find any evidence on which to charge and try him, and under the ruling of the European Court, there’s no prospect that we shall be able to deport him any time soon. “It is a sad reflection on British justice that we have kept this man in prison in England for a total of 8-1/2 years — the equivalent of a 17 year prison sentence — without having charged him with any offence, still less having put him on trial. Half a dozen countries around the world reckon that they have enough evidence to put him on trial, if they can get their hands on him. Apparently we are the only one that can’t. One of our oldest and most jealously guarded liberties is the right not to be deprived of our liberty except after a fair trial by our peers. How can the Home Secretary demand that this individual, however evil he might be, should be kept in prison even longer when we aren’t prepared to charge or try him, and we can’t legally deport him? Does Mrs May want to sentence him to another eight or nine years behind bars when he is entitled to the presumption of innocence until a court of law convicts him of an offence? If we can’t put him on trial and we can’t deport him, he is absolutely entitled to his liberty. Once he is free, he can be subjected to intense surveillance by the police and the security services, so that the moment he steps out of line the evidence will be there for him to be tried, convicted and given an appropriate sentence, not by a government minister, not by the bellowing colonels on the back benches opposite, and not by the tabloids, but by an impartial judge. “The Home Secretary and some of the retired colonels on the benches behind her have lost no time in seeking to exploit the case of Abu Qatada in support of their campaign against the European court of human rights, a body which Britain took a leading part in establishing and whose decisions we are bound to respect and obey as a treaty obligation under international law. The Prime Minister is taking the lead in accusing the court of interfering in the rights of national governments and parliaments to make their own policies and carry them out. Sir Nicolas Bratza, the distinguished British judge, appointed by Britain to represent us on the European court and currently the president of the court, has taken the unusual step of publicly reprimanding our Prime Minister for misrepresenting what the court does and for failing to understand its history and role. Yet again the Prime Minister brings Britain into disrepute. Predictably, the right-wing tabloids and other chauvinistic voices have set up a clamour about the ruling of the European court and the decision of our own British SIAC that Abu Qatada must be released on bail. Do the Prime Minister and the Home Secretary do their duty by defending the role and decisions of the judges against ignorant, prejudiced criticism, and pledge to act in accordance with the law, however unpalatable its requirements might be? On the contrary: they join in the clamour, ensuring by their example that it becomes yet more subversive of the rule of law, more disrespectful of Britain’s international and domestic obligations, more shrill. “Those of us who served in the New Labour governments of Tony Blair and Gordon Brown are justifiably proud of their many achievements. But as Ed Miliband said in his speech to the Labour Party conference immediately after his election as party leader, Labour’s attitude in office too often seemed casual about British liberties. Too often we sponsored legislation to enable us to imprison without trial people who had not been convicted of any offence, but who were thought likely to commit an offence if they were left at liberty. People given Indeterminate Sentences for Public Protection (IPPs) are still behind bars in punitive conditions after having served the punishment part of their sentences, sometimes years ago. They go on being punished, no longer for what they have done, but for crimes that someone thinks they might possibly commit if they are let out of jail. Other people have been placed under control orders which make it impossible for them to lead ordinary lives, earn their living and socialise with their friends, deprived of most of their liberty without ever having been charged or convicted of breaking the law. The present government, to its credit, has abolished control orders, but it has replaced them by something very similar – T-PIMs, control orders lite. The Justice Secretary, Ken Clarke, also to his credit, is taking steps to abolish IPPs — but introducing new mandatory prison sentences which eat into the discretion of the judges. Now the Home Secretary and her supporters are damning the Special Immigration Appeals Commission for ordering the release of Abu Qatada on bail conditions similar to those imposed by the old control orders, not because these are too severe but because they think Abu Qatada should not be let out at all but should be kept in prison indefinitely, even if this would be against the law. Come on, Yvette: you can do it! Applause anyway – I’d vote for any politician capable of delivering that speech. Brian writes: Thank you for this, Ian. What a verdict on our political leaders of all parties that a speech like this by any of them is so unthinkable! The tabloid editors have taken over the asylum. 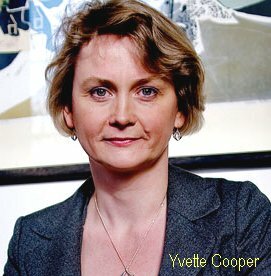 Do you really think Ms Cooper – or any other New Labourite – would ever say anything so obviously honest and sensible? An excellent blog. You are right to speak and act as though the Labour party has just mislaid parts of its soul, rather than despairing (see previous comment on 11 Feb) because it has sold it to the devil. Brian writes: Thank you for this, Iain. I desperately hope that you’re right, or at any rate that I would be right to act on that assumption. In fact I know that there are thousands of good decent people in the Labour party who are in despair at the continuing failure of most of its national leaders to speak up loud and clear for the party’s founding principles. Much as you might wish it Brian there is no chance of Labour saying this. Regrettably, in the Blair years the Labour Party became little different to the Tories when it comes to law and order. When in power they secured some draconian legislation and criminal offences generally multiplied by the thousands. They will say nothing which enables the Tories to claim that Labour will be soft on terrorists, criminals and people who put their dustbin out too early !! Brian writes: Thank you for this. I’m afraid you’re right. The sad thing is that Ed Miliband, when he was elected leader of the Labour Party, specifically promised that the party would turn over a new leaf on civil rights. But there has been no such change of direction. Labour’s front bench spokespersons on law and order and civil rights, Yvette Cooper and Sadiq Khan, have continued relentlessly to try to outflank the Tories on the right, instead of supporting the many progressive and liberal elements in Ken Clarke’s policies and programmes. It’s terribly disappointing. I suspect that David Miliband (literally Big Brother! ), Jack Straw and D Blunkett, and other New Labour grandees, are intimidating them all, including Brither Ed, to protect their largely grisly records and reputations.